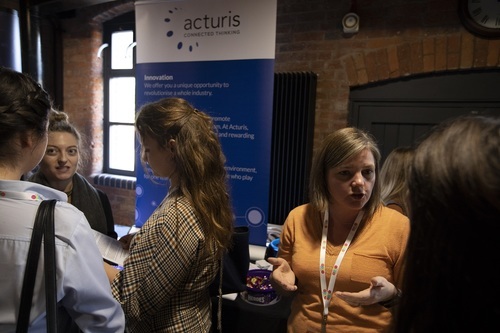 Acturis is one of the UK’s highest rated and fastest growing technology companies, dedicated to delivering awesome solutions for our clients, helping them streamline their business with a more connected approach to Insurance. The company was founded in 2000. Over the past 18 years, the Acturis Group has grown to £80m in revenues and has more than 600 colleagues in 5 countries and customers in more than 40 countries around the world. We launched the first multi-tenant industry-specific SaaS platform in July 2002, completing the UK’s first end-to-end e-trade insurance integration later that year. Acturis remains the UK’s leading commercial e-trade product offerings supporting more of the UK’s insurers and brokers than any other platform. Today, if a small business buys an insurance policy online, the chances are they are buying from an Acturis customer and the entire process has been enabled by the Acturis System. Acturis has a policy of recruiting talented people and developing them into its future managers. Several members of the current management team joined the company in roles similar to those currently open and have progressed rapidly into positions of increased responsibility. Acturis offers colleagues an attractive starting salary, plus performance bonus and benefits such as private health care and life insurance. Colleagues are encouraged to develop their expertise through professional qualifications and also receive coaching and mentoring from senior managers with many years of business and technology experience.